Headquartered in Silicon Valley, Footwear etc. is an Internet Retailer Top 500 comfort footwear chain with 13 locations in the Bay Area and San Diego, and a high-volume online store. 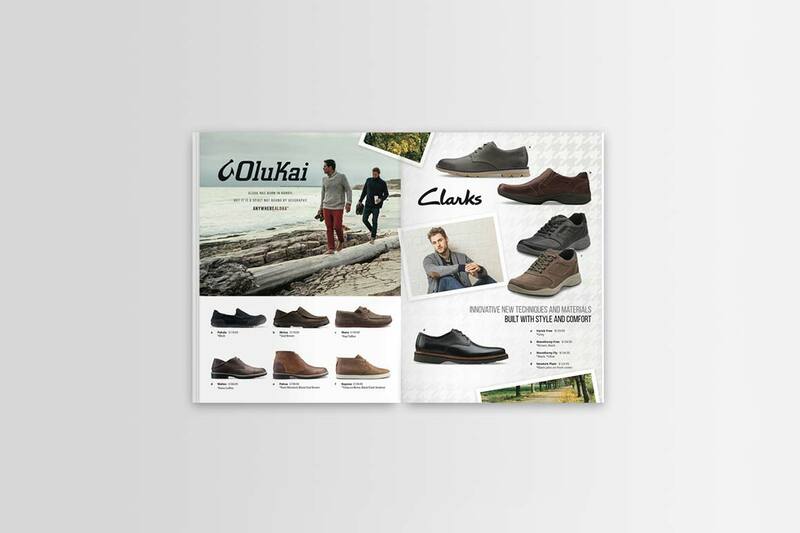 In 2015, we designed a full-color 60-page seasonal print catalog for Footwear etc.’s in-store customers. The catalog features hundreds of Footwear etc. brands, lifestyle photographs, shoes, and accessories in carefully crafted page layouts. This work was done in tandem with the Footwear etc. marketing team, navigating constantly changing supply, demand, trends, and seasonal needs of the shoe manufacturers themselves.